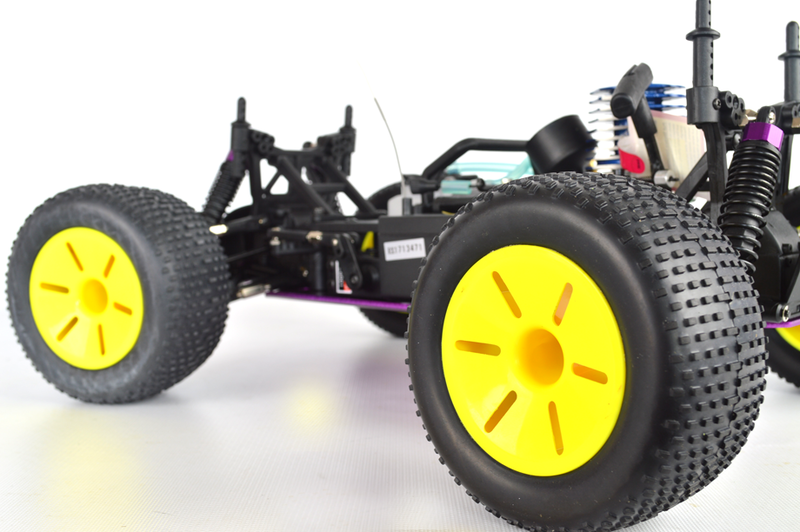 This is the stunning looking and even better performing HSP nitro radio controlled truggy. The fusion of buggy and truck in to one awesome set of wheels. This truggy is extra tough and a great off road performer, it can still stand its ground on the road too! The .18 engine and two-speed automatic gearbox makes it extremely quick and great fun. 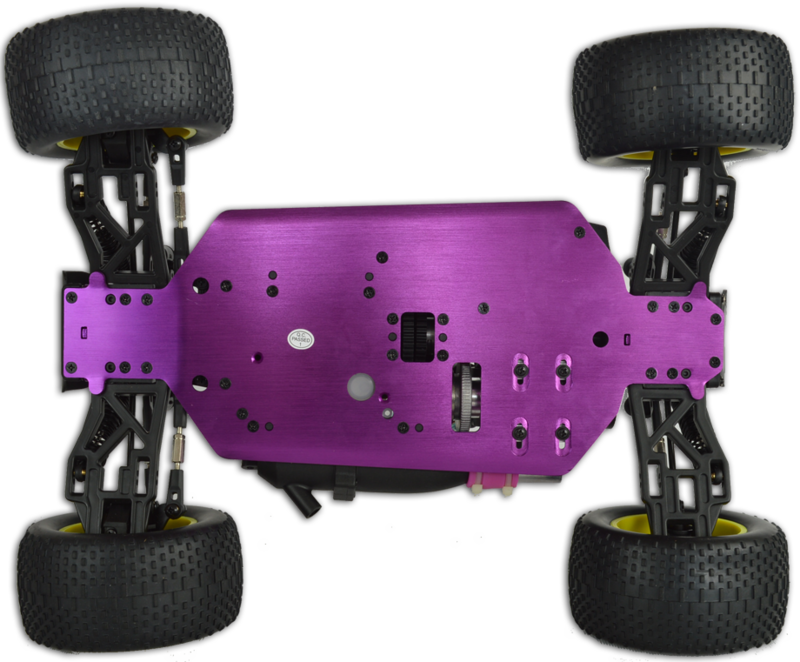 This is the stunning looking and even better performing HSP nitro radio controlled truggy. The fusion of buggy and truck in to one awesome set of wheels. This truggy is extra tough and a great off road performer, it can still stand its ground on the road too! The Gladiator is feature packed making it one of the top spec truggies on the market and the .18 engine and two-speed automatic gearbox makes it extremely quick. 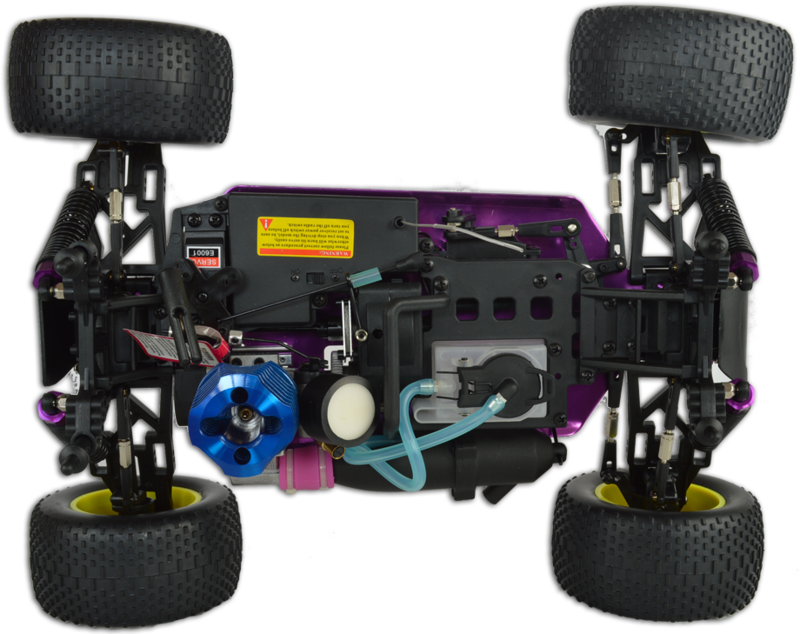 Nitrotek's version of this nitro radio controlled truggy has been upgraded with high quality SH engines. 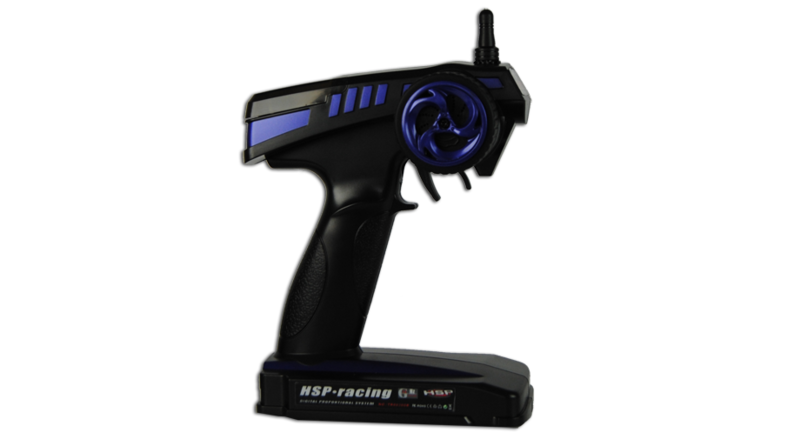 SH are known for their high power and speed. 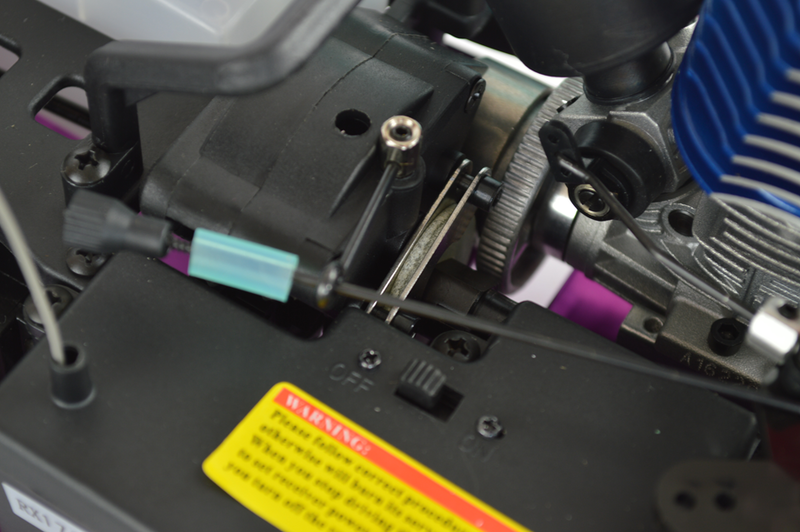 The Model comes with 2.4GHz wheel type controller which means the range is longer and more stable plus you do not have to worry about interference from other drivers. Wrapped with high traction all terrain truggy tyres. 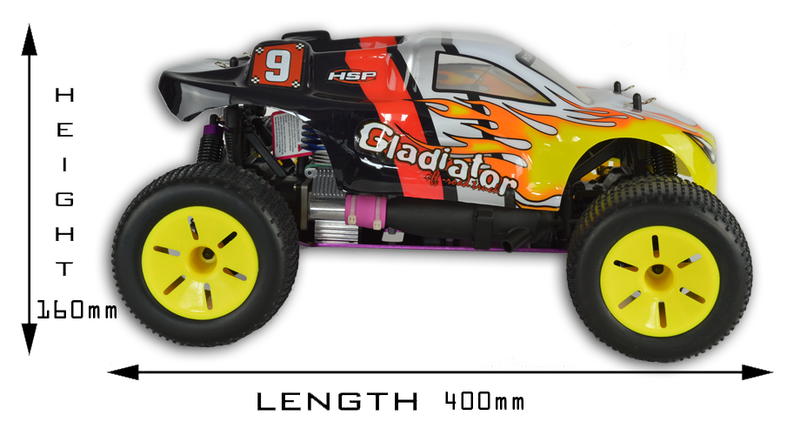 The car measures 400mm x 160mm x 300mm (length, height, width). 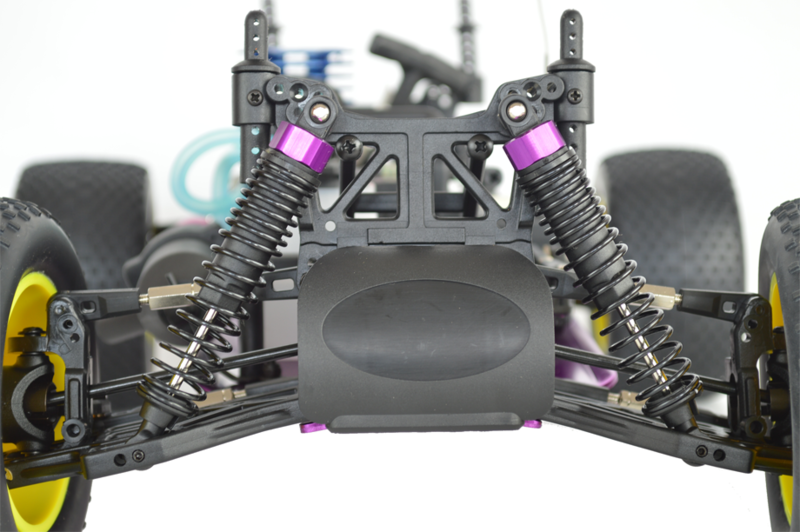 Adjustable aluminium capped oil-filled shocks are mounted to 3mm aluminium towers that allow you to adjust the angle and tension. 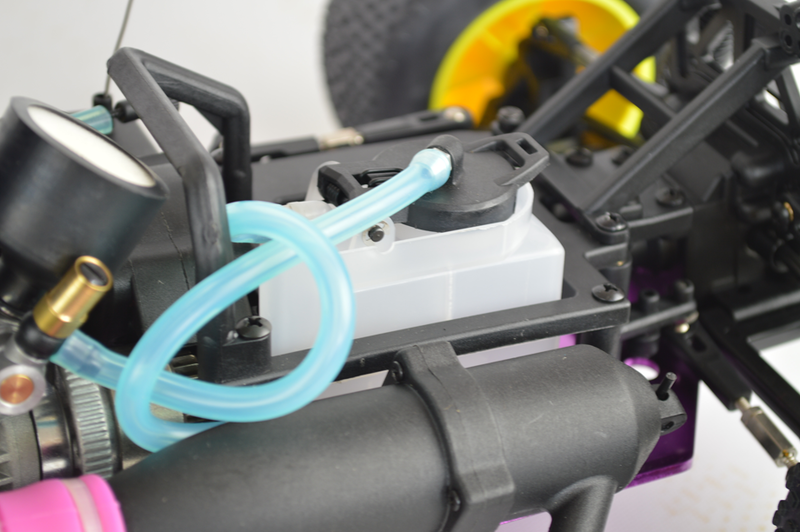 The model uses the first gear for faster acceleration and then switches to second gear for higher top speed. The change speed is adjustable. Hi, i needed to know if it is necessary to buy a glowstarter kit ? Yes. 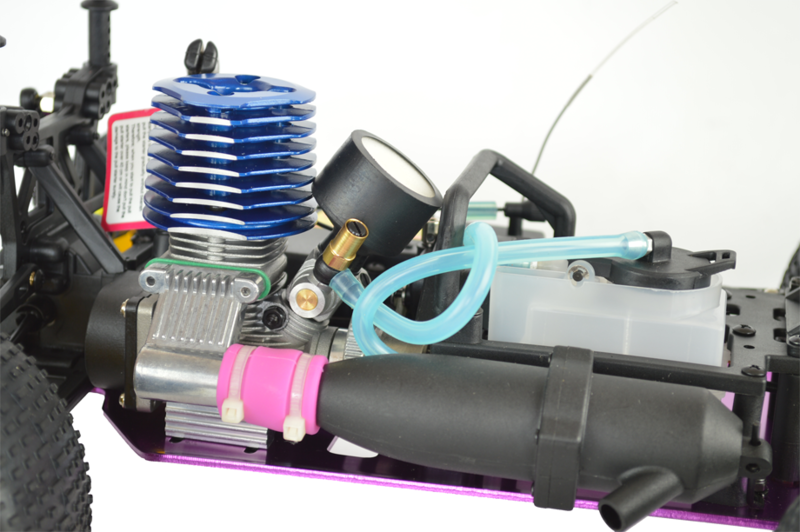 a glow starter is required to start the Nitro models we sell. The glow starter kits comes with a rechargeable starter, fuel bottle and basic tool set. 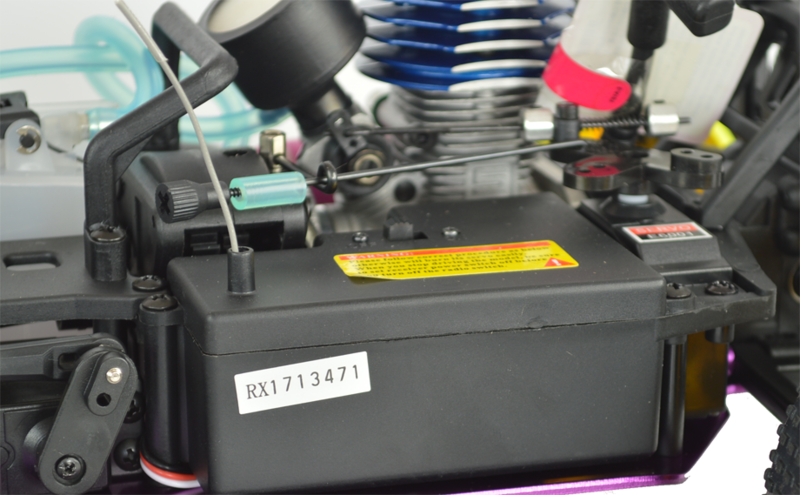 It comes with glow plug. Good fun car, hard to start at 1st but now starts 1st time everytime once you get the hang of it. Its taken a beating over the past few weeks with many tumbles and bangs but still running good. Very good fun on loose gravel. Il est vraiment genial, la qualiter pareil et surtout il roule tres vite :) j'ai pros beaucoup de plaisir a le controler !! !